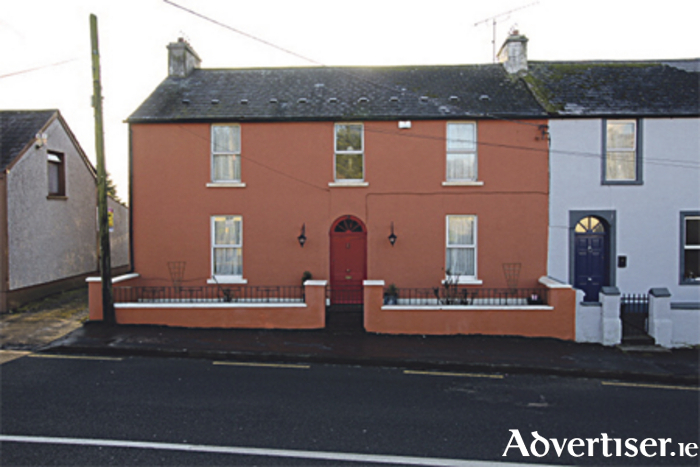 DNG Begley are delighted to offer for sale The Hill, Ballymahon, a charming period residence built in the 1840s extending to 142 sq m over two storeys. Located ca 21km from Athlone, ca 29km from Mullingar, and a 15-minute drive from the sleepy village of Glasson, this graciously proportioned accommodation provides for the perfect combination of entertaining and comfortable family living. On entering expect to be immediately impressed with the sense of grandeur and old-world charm. The appeal of this magnificent home is greatly added to by its excellent condition throughout, with many original features including coving, sash windows, wooden shutters, and fireplaces in the reception rooms. Accommodation comprises reception hall, large kitchen/dining area, a drawing room featuring original coving, fireplace and window shutters, a parlour with open fireplace, family bathroom, three double rooms (one en suite ) and one single room.